Rugged and durable clamps built to excel in recycling harsh applications. Designed with full length alloy steel wear bars, full width UHMW bearings and Frame bumpers to protect cylinders these recycling clamps withstand the most demanding applications. Available for both high and low pressure hydraulic systems. Two-way backhand protection relief (sideshift & clamp open circuits). Top-mounted cartridges and test ports in valve for ease of service. 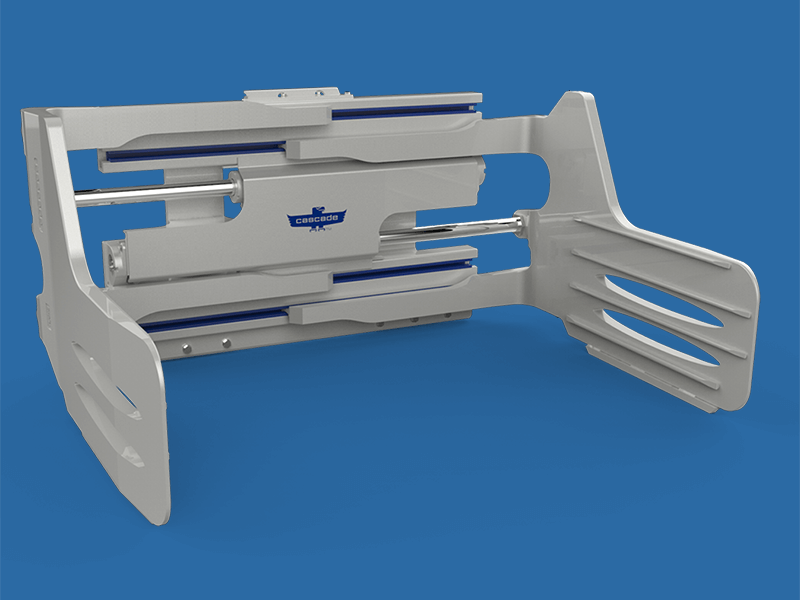 Flow divider for equal arm movement. Full-length, hardened arm wear plates provide maximum arm protection. Bolt-on full width, hardened frame wear strip provides maximum protection and easy replacement. Steel hydraulic valve guard & cylinder bumper to protect hydraulics. High-strength, hot extruded steel frame. Thin arm profile for effective knifing between loads. Rebar rib arm facing for optimal load engagement. Maximized clamp force for secure load handling. Carriage centering key for precise and secure mounting. High-strength corner castings for maximum arm durability. Custom arm facing options (rectangular, serrated etc.). Custom arm lengths and heights. Consult Cascade for customized solutions to fit your application.